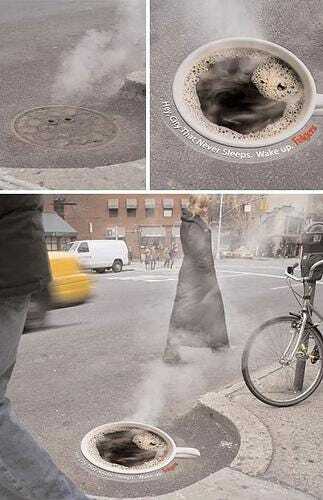 Whether you’re in an advertising agency, or you’re someone with a product or service that needs to be promoted, think about these 10 unusual places to put your advertisements. And never, ever think it cannot be done. At one time or another, no one was advertising outside of traditional spaces; these days, it’s the norm. Oh, and there is no mention of toilets because it’s a commonplace to advertise these days. People want to make money, fast. They’re often willing to do some bizarre things to get that money. One way is to get yourself tattooed (permanent or temporary) with a logo or website address. 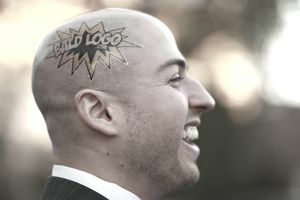 Sites like Lease Your Body and Bald Logo promote this. The price of video game production now equals that of big budget movies. And just like movie studios, the game manufacturers are looking for ways to fund the development. It also ads reality to games set in the present day, or even the future. Could your brand live inside a video game? Cities are also looking for money to help them balance and ever-decreasing budget. Manhole covers offer excellent opportunities to capture the general public unaware and work well in big cities like New York and Chicago. The baggage claim carousel is surrounded by people with nothing to do but stand, and stare, at the bags going around and around. Any time you have a captive audience, and it’s on brand, take advantage of it. Once again, the checkout conveyor is noticed by hundreds of people every day. And if it's in hundreds of stores, it’s reaching a lot of people. Western Union took advantage of it to great effect. If you have a client that involves moving anything, from cars and trucks to people, this is a good spot to catch people. Who is looking at the bottom of anyone’s shoe?! Well, everyone is. Most people, when relaxing, prop one foot up across their knee, or up on a table, or in various other viewable places. The Supra brand shoe offers a sole that doubles as ad space. Think about it. Is that a great place for your product or service? It could really make people stop and stare. And with smartphones, people can access web addresses instantly, so it could be the perfect place for a URL. When pedestrians hit the button on a crosswalk pole, they’ll be waiting to cross for at least ten seconds; probably longer. That’s a captive audience just begging to read something or be entertained. Lamp posts, telegraph poles and anything else protruding in a disruptive way from the ground will always make a good spot to grab someone’s attention. That’s not a spelling error. There is now a legitimate way to advertise on raw and cooked meats, using a new laser etching technique. Could be a great way to sell barbecues, crock-pots, frying pans, or numerous other products. It doesn't even have to be about food; what about an ad for a gym? Turn yourself into the ultimate piece of man meat. There are millions of cars on the roads and millions of people looking for ways to help pay for gas. One way both parties can be a winner is through car advertising. Via magnetic signage or custom wraps, cars can become moving billboards for a product or service. You have probably experienced at least one CAPTCHA this week. It’s one of those little boxes you type a word, number or phrase into, letting a website know you’re human. They can be something more fun though. It could be the name of your brand that is typed in, or a proof point about your service. Think about it.